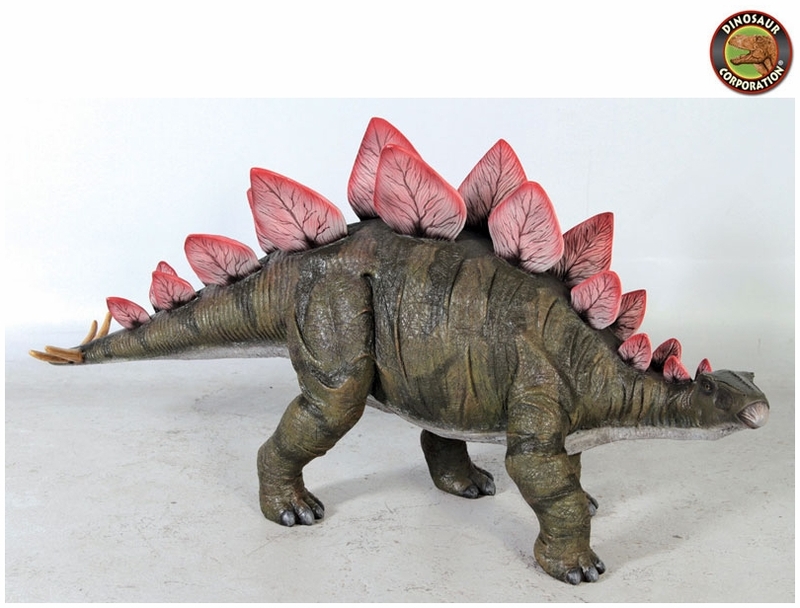 Home | STATUES | Stegosaurus Scaled Dinosaur Statue Garden Sculpture 49"
This Late Jurassic Period armored beast is one of the most recognizable dinosaurs due to its distinctive tail spikes (thagomizer) and defensive spine plates! Realistically sculpted with a rounded back and kite-shaped plates. Differing views state that the massive spine plates were used to regulate the dinosaur's body temperature or were a sexual characteristic for the species propagation. Our scaled, yet over four-feet-long, prehistoric replica dinosaur statue is cast in quality designer resin, reinforced for supreme strength with fiberglass and hand-painted with powerfully convincing color and texture to be as faithful as possible to the form of its ancient species.